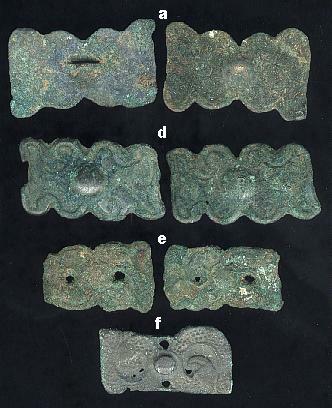 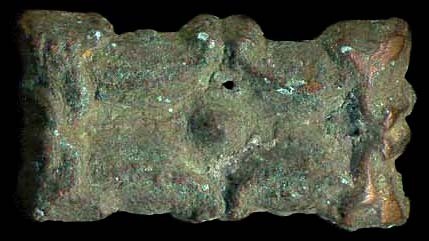 CHINA, ZHOU, 1122-221 BC, bronze jiapian armor scales. 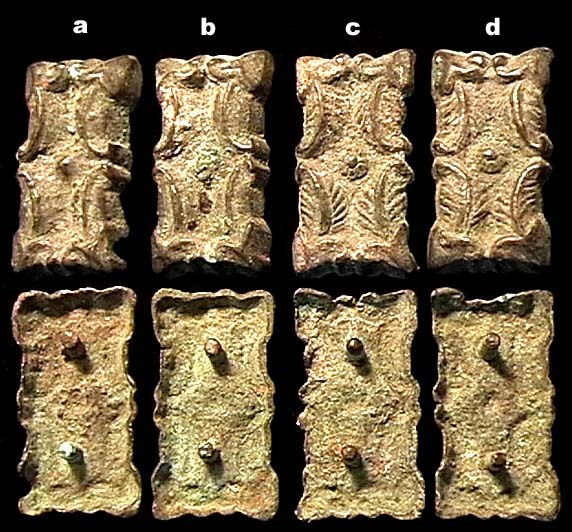 These were sewn on leather or padded cloth tunics. 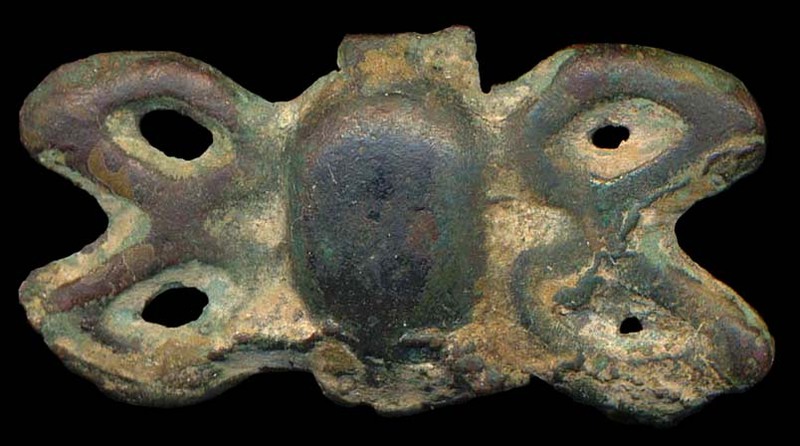 Another opinion calls them horse ornaments. 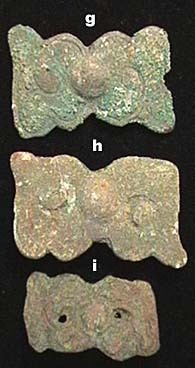 CHJP7) CHINA, HAN Dynasty?, c. 200 BC-200 AD, bronze jiapan, 33x17 hollow backed tablets with foliar decoration & 2 pins in back, supplier didn't know what they are, they seem jiapian-like to me.